🏛 Why it Matters for Government: Smart transit is a major focus area for many cities across the globe, and researchers have identified that the connected car ecosystem can also be manipulated, creating new threats to smart cities. For government agencies, partnerships will need to be built with industry partners to ensure that as smart technologies become more ubiquitous in transit, we find ways to mitigate and prevent algorithmic manipulation. 🏛 Why it Matters for Government: One of the largest challenges in state and local government is centered around the workforce. Agencies are struggling to hire and retain talent with new skillsets to solve the pressing challenges of today and prepare for what’s around the corner. One way agencies are mitigating this issue is to tap into a growing talent pool with the gig economy. 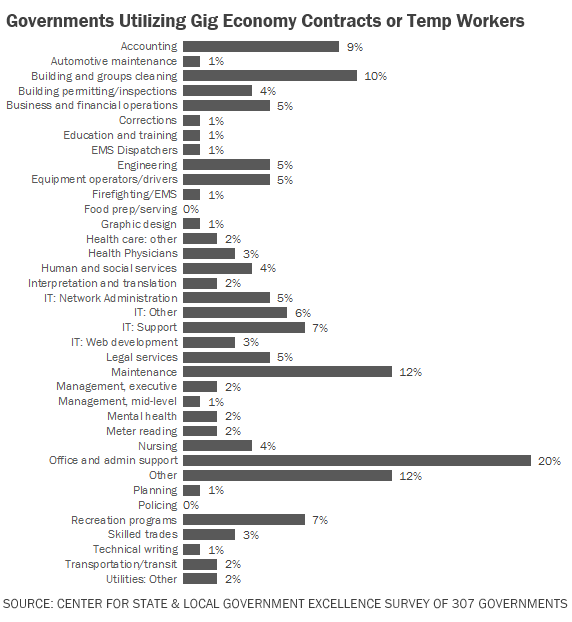 Essentially, gig economy workers are contractors (or freelancers) that are hired to perform a given task or one-time job or gig. Companies like Uber and Lyft have made this model a new norm, but research indicates government is also getting into the game — and quickly. For government agencies, this is an important trend to watch because the future of work is increasingly looking less like an 8–5 job, and more like a flexible work arrangement where you hire the right person at the right time to complete a job. 🏛 Why it Matters for Government: This was an interesting talk given by Daron Acemoglu at MIT’s EmTech Next conference in Cambridge, Massachusetts. The core of his message is around the fact that AI will impact the labor market in different ways. The good news? We have an opportunity to shape it by modernizing our institutions, starting with education. For government agencies, this is a good reminder to explore ways to use disruptive technologies like AI not as a way to replace people, but as a way to augment people and meet their fundamental human needs. 🏛 Why it Matters for Government: In a major move in State and Local Government, the popular drone maker, DJI, announced they were partnering with Axon to sell video-capable drones directly to law enforcement agencies. This is a strategic relationship that goes beyond just providing a contract vehicle to DJI because it also enables one of the major players in body-worn cameras a drone partner to develop new use-cases with. For government agencies, this is the beginning of more drone-enabled use-cases like the City of Louisville’s automated drone dispatching pilot, that will revolutionize not just how we capture video, but how we deliver services government. 🏛 Why it Matters for Government: In Apple’s recent annual developer’s conference, WWDC, they unveiled Create ML — a new toolset to help developers embed machine learning capabilities into their apps. This is further proof that machine learning and artificial intelligence development will continue to be democratized by platform companies like Apple and Google — requiring less data science expertise. For government agencies, frameworks like this provide a foundation of extending new capabilities into government services without the need for expertise or costly development cycles. 🏛 Why it Matters for Government: This was a great read by Stephen Goldsmith about the role of cities in the future of work. Goldsmith argues that cities need to embrace their role and modernize their workforce development tools for the future. For government agencies, we need to look to examples like Imagine Pittsburgh and New York City’s Talent Pipeline as inspiration to address the increasing skills and work gap that will undeniably change the workforce in the not-to-distant future. 🏛 Why it Matters for Government: The future is moving faster than ever, and many existing ways of educating urban planners (and other city-focused degrees) is no longer as relevant for the era we live in. As a result, MIT recently announced a new degree program that blends computer science and urban planning into a single discipline. For government agencies, it’s important to note that new disciplines and skills will be required to solve the problems of the future — and this new hybrid degree is something I anticipate other universities to begin to adapt their degree programs as cities evolve with the rise of artificial intelligence, self-driving cars, and many other exponential technologies. 🏛 Why it Matters for Government: In another drone use-case, experts in the United Kingdom believe the future of pothole repairs is by a fleet of autonomous drones that can identify and repair (using 3D printing) potholes in a matter of minutes — and all while you sleep. It may sound like science fiction by the robots are scheduled to be tested on Leeds roadways in the next couple years as part of a 5-year plan between UCL and Leeds University. For government agencies, it will be important to follow and collaborate with pilots like these in order to better optimize government service delivery in the future. 🏛 Why it Matters for Government: There are countless AI startups that are impacting every industry across the world — but Jane.ai caught my attention as one that could help government agencies solve the digital paper overload. Using AI to catalog the backend information architecture and a conversational interface on the front-end, you can query complex volumes of information just like you were texting a co-worker for them to send it to you. The lesson here for government agencies is that although Jane.ai is not specifically targeting government as a customer, there is an adjacent application that has the ability to solve a major public sector problem. There are many other adjacent applications that also have potential in government so don’t be afraid to help companies understand the value of working with the public sector by being a pilot or proof of concept of a new technology or services. 🏛 Why it Matters for Government: Airbnb was once a company that cities fought to prevent short-term rentals but it’s now solidified it’s place as a valuable economic partner. 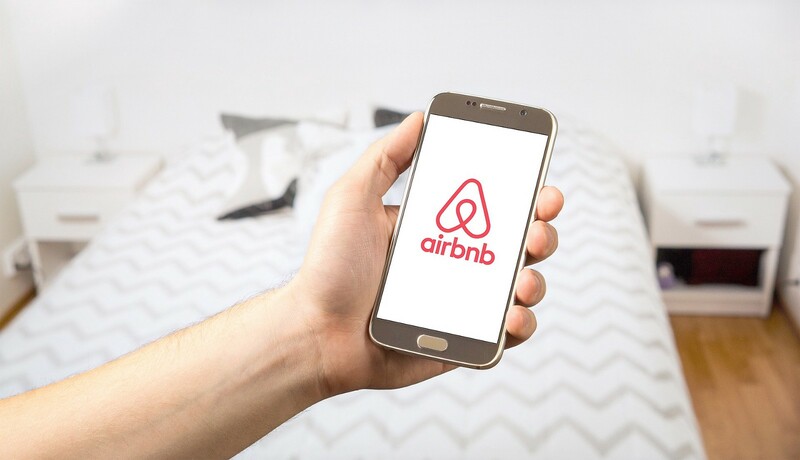 One of the byproducts of Airbnb’s network is that it can also serve as a pre-mapped network of available properties and rooms during an emergency situation. The program is called Open Homes — and is a way for existing Airbnb host to offer up their space for free to people most in need in disaster situations. For government agencies, this is a great pre-mapped infrastructure that can be leveraged during disaster situations — and agencies should look for opportunities to work with Airbnb to partner to make it more advance for emergency situations. If you missed last week’s list, you can still read about the rise of digital license plates, catching biased algorithms and unpacking the 2018 Internet Trends. To follow my reads in real-time — follow me on Twitter, LinkedIn or Flipboard.